Bitte rufen Sie an oder mailen Sie für aktuelle Preise, damit es keine Verwirrung gibt. Während der Frühlingsferien müssen Sie 25 sein, um zu mieten. Schauen Sie sich die Fotos dieser eleganten Wohnung an, Sie werden die Großbildfernseher mit High Definition (HD) sehen. Sie werden keine billigen Korbmöbel sehen, Sie werden neue, komfortable, zeitgenössische Möbel sehen, die Ihren Aufenthalt hier zu einem Ihrer besten machen werden. Diese Ferienwohnung befindet sich im Long Beach Resort, Tower 2, 5. Stock, einer von Panama City, Floridas Finest und Most Exclusive Condominium Properties! Die zwei Schlafzimmer, zwei Bäder, elegant eingerichtete, Luxus, Strand, Ferien Wohnung befindet sich im fünften Stock, in Long Beach Resort entfernt und bietet Platz für bis zu acht Personen. Haustiere sind nicht erlaubt, Nichtraucher. Genießen Sie die entspannende tropische Brise, das Geräusch der Brandung und die wunderschönen Sonnenuntergänge vom Balkon dieser schönen Luxus-Wohnung, wo Schlafzimmer und Wohnbereich auf weißen Sand und wunderschöne blau-grüne Gewässer des Golfs von Mexiko blicken. Für weitere Informationen und Reservierungen rufen Sie (siehe unten unter Kontaktinformationen). Ruf auch an. Die Preise können sich ändern, bis die Reservierung bestätigt wird. Nice property, clean. We stay at Long Beach every year and it’s a fantastic place to stay. Now the bar at the pool is open later in the year which makes lunch easier and more convenient. Loved the condo and had a great and relaxing vacation. It was very clean and the owners were easy to work with and responded promptly to a minor issue we had with the shower. The pool area was absolutely beautiful. Would not hesitate to stay with the Borcherts again. The condo was very nice. It had a lot of extras to use which was great! The place was very clean! The beds were extremely comfortable and nice! The only issue was the towels and wash clothes need replaced. They were white once upon a time but not when we were there. Also there wasn’t enough of them. We had to go buy some of our own as there wasn’t enough for 5 people. All other areas were great and we would stay there again! This was a family vacation and there were 14 of us vacationing together. 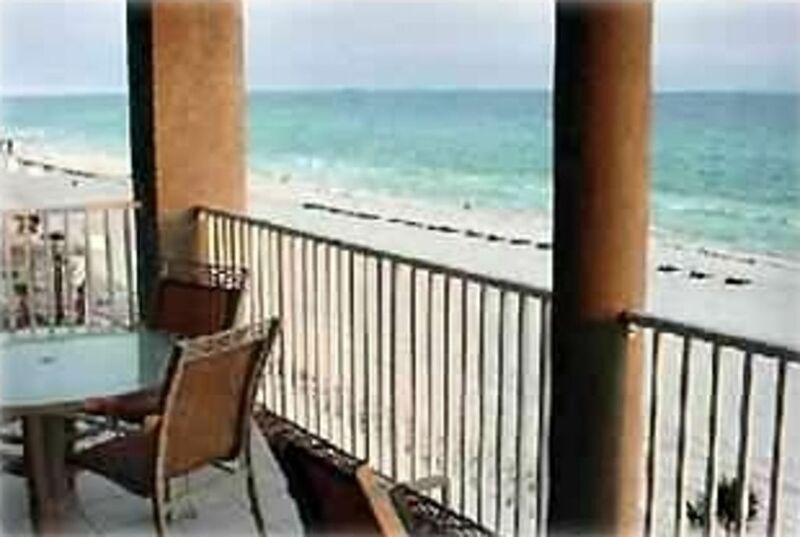 My husband and I along with my son and daughter in law rented this condo. The condo was just like the pictures except much bigger than I expected. The bedrooms were huge and on separate ends of the condo which gave you privacy. The view from the bedrooms were amazing! The beds were very comfortable, and the showers were big and also separate from the area where you get ready which made it easier/faster to get ready. The kitchen was fully equipped with everything you needed. I have absolutely no complaints about this condo and will definitely rent from them again. My only complaint is that a wasn't long enough. Lol. We were here for the month of March 2017. Our stay could not have been better. This unit could not be any better as everything you could possibly need is included in furnishings there. Bob and Barbara are great people to work with and very deserving of a 5 star rating. Am trying to work out dates for next year real soon because would love to stay here again. Thanks again to the Borchert's for allowing us to stay. We enjoyed condo #504 in Tower II. We would have rented for 2018, but it is already taken for Jan.,Feb. and Mar. We were more than satisfied with condo. We liked the heated pools and the convenience of stores and restaurants in the area. The kitchen was well equipt for anything you wanted to cook. The stackable washer and dryer were great.The views from the balcony were beautiful, including the sunsets. We would recommend this condo. Wish we could have rented for 2018!!!! !